When I first heard the name ‘pasta frolla’ I just knew I had to make it for the simple reason that it sounds absolutely wonderful and delicious. And it is! In fact, it is one of my favorite pastry doughs. This Italian take on the short crust pastry is not the easiest of doughs to make or handle, but it is very rewarding when it turns out as it should. 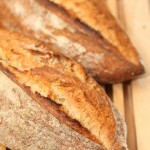 It should be buttery and crumbly and hold its shape perfectly. 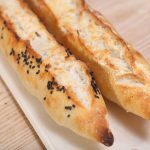 The added lemon zest gives it an extra taste dimension. 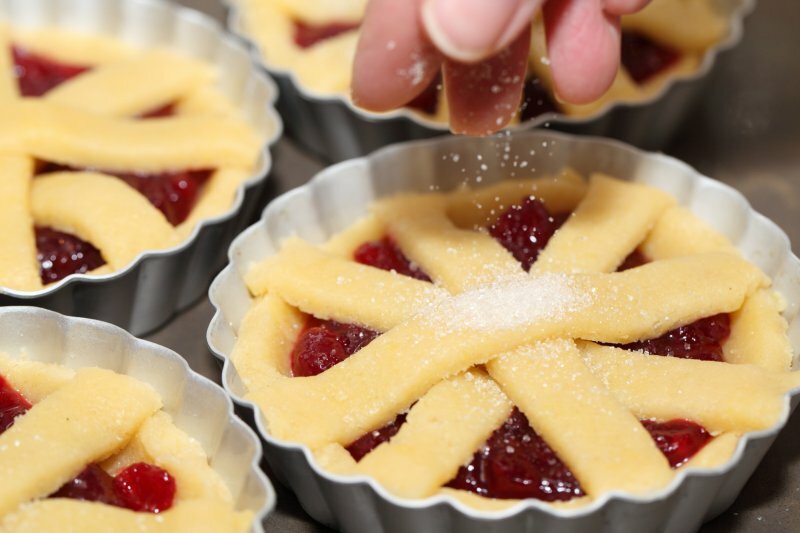 I love to make ‘crostata’ with it (just another beautiful Italian word for pie or tart) and fill it with my favorite jam. Usually this comes down to choosing either raspberry or apricot or sometimes homemade marmalade. 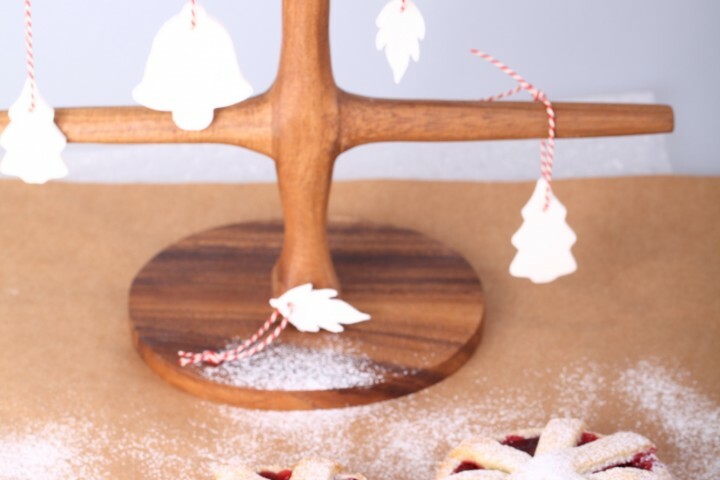 But this festive holiday version of course has fresh cranberries in it. 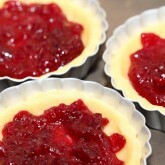 So just make these little jam gems, have a bite and be jolly! 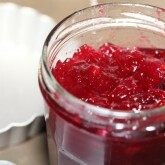 In a saucepan add 300 g of fresh cranberries to 200 g sugar and 200 ml water and the juice and zest of an orange. Slowly bring to a boil and let it bubble away for about 10 minutes (the cranberries should all have ‘popped’ by this stage. At the last minute add the hint of ground cloves and the splash of rum at the end of the cooking process. Turn off the heat and let stand for 5 minutes. Put in warm sterilized jam jars, seal and leave to cool. Combine flour and salt. Add the cold butter cubes and combine until you have wet sand consistency. Add the sugar, lemon zest, egg and egg yolk and quickly bring together to form a dough, without overworking it (you want minimal gluten development for the pastry has to be crumbly and short). Wrap with clingfilm and leave to rest in the fridge for 30 minutes. Preheat your oven at 200 ºC / 390 ºF. 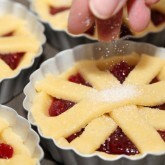 If you want to make the small jam tarts like you see in the picture, you need pastry molds of about 10 cm / 4 inches Ø. Make sure to butter the cases well. I spray them with vegetable pan coating, which works quick and gives you a nice even coating. 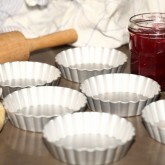 Roll out the pastry and cut out 6 circles to fit the molds. 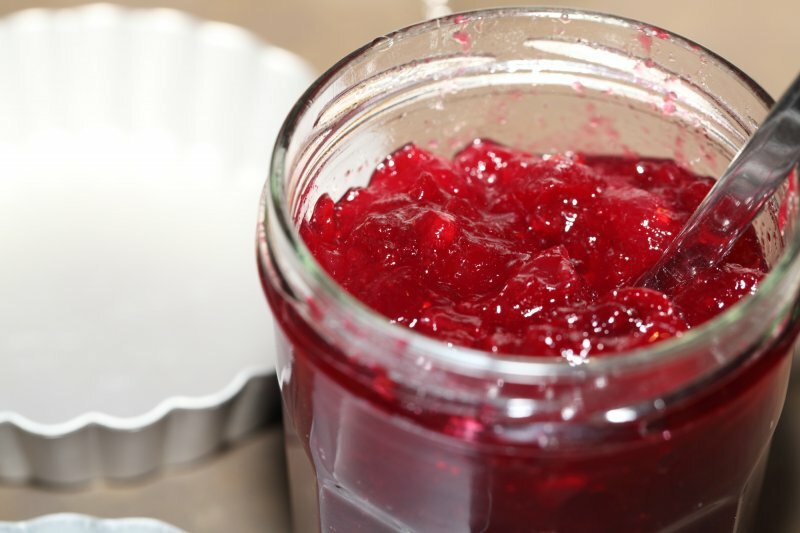 Fill the bcases with the cranberry compote. 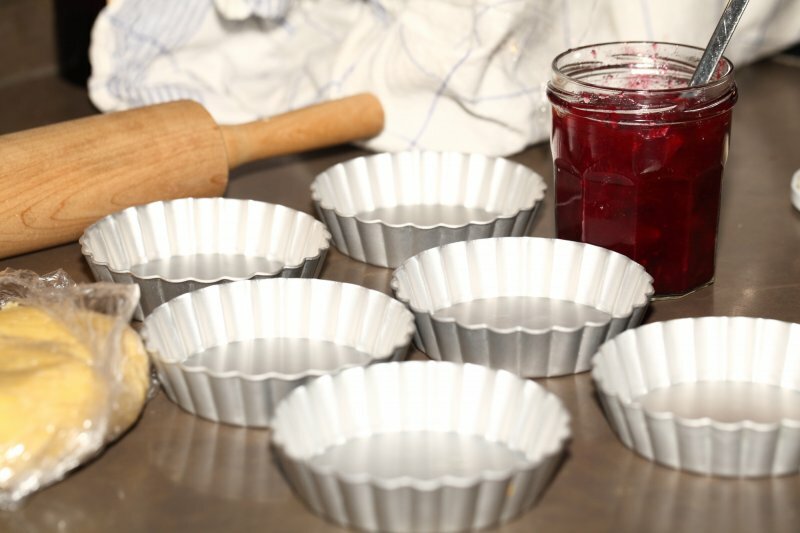 Cover the tarts with a lattice work of your own design. Sprinkle some sugar on the dough. 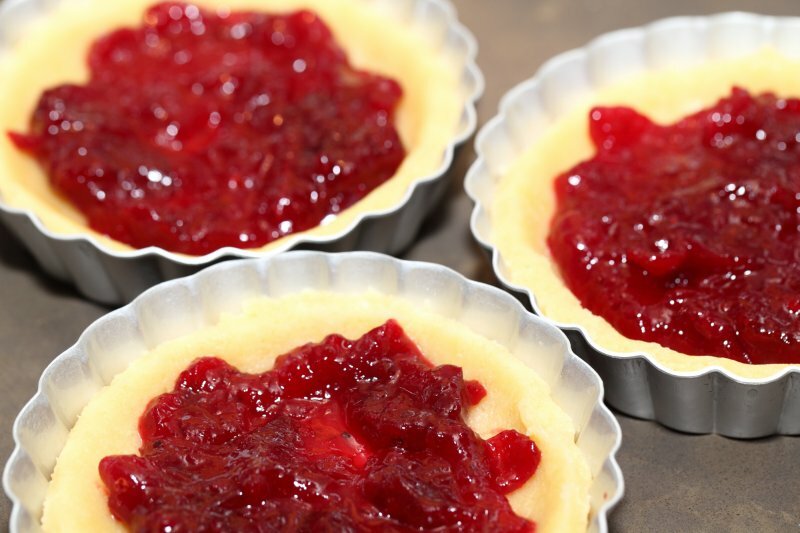 Bake the tarts for about 25 minutes, take out of the oven and leave in their molds for a few minutes, then release them and leave to cool on a rack. Like with almost every bake, these tarts are best when devoured fresh, but it will still taste great after one or two days. You can also make the pasta frolla in advance and keep it in the freezer for future baking. 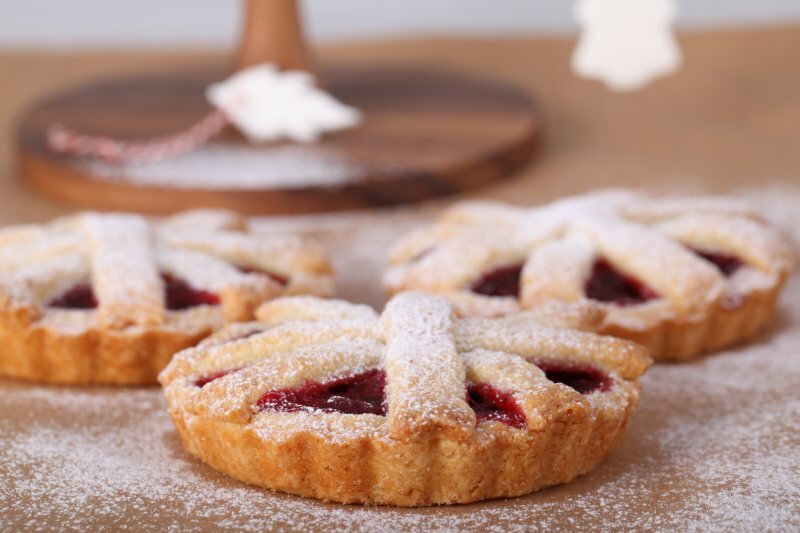 This cranberry tart perfect for Christmas celebration.Look so yummy and don’t spend much time for making it. 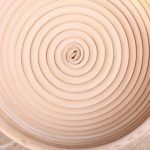 Thanks for sharing..
Lovely tart dough recipe. It came out perfect. Thanks Sam, glad you liked it too! Good recipe – well done. One comment: In Italy pasta frolla is often left to mature on purpose, for a day at least (frollare means… well… to age/mature/develop flavour: it is the same verb also used for meat hanging, for instance) – it does get better. 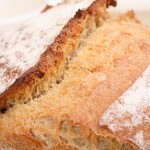 This is a good recipe but you might want to consider using also icing sugar. There are of course endless versions of pasta frolla. Often people add also a pinch of baking powder for a more cakey texture and sometimes the butter almost equals the flour. I prefer to cook my pastry at lower temperature (160-170 C) for longer (or to blind bake it first and then fill it). 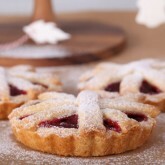 All in all it is a beautiful pastry, especially with jam or ricotta fillings. I too often prepare a fresh fruit compote – I think it gives the best results (rather than using plain jam). 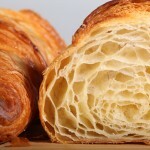 I was also reading your post about Croissants – totally agree, the more one makes them, the more proficient one becomes and let’s be honest – when they turn out well, they r hugely rewarding. Thanks for the good tips. 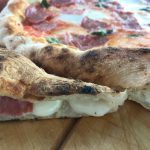 Very good web site – stefano (I am an Italian cook but Iive now Lyme Regis, Dorset, UK). Really grateful for your very authentic tips and explanation about the pasta frolla. I will definitively try the maturing of the dough. Happy (Italian) Baking in the UK!